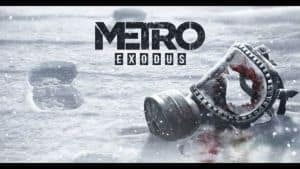 Metro Exodus Release Delayed to 2019 | Nerd Much? Metro Exodus debuted to the world during Microsoft’s E3 press conference last year. And upon its unveiling, a 2018 release date was announced. Unfortunately, as of this morning, that’s officially no longer the case. Technically, Exodus is only being delayed a maximum of three months. The game never had a former release date, and a Q1 slotting means we should have the game in our hands by the end of March 2019. Metro Exodus represents the 3rd entry in the series of video games which are based upon short stories written by numerous authors. Metro Redux was the most recent game in the series released. It was a remastered version of both Metro 2033 and Metro: Last Light for PC, Xbox One and PlayStation 4. There are two other key THQ Nordic titles poised for 2018 releases this year – Biomutant and Darksiders 3. However, in a press release sent out today, the publisher stated that those titles were “still under evaluation for setting a release date.” And with just over six months left in 2018, it doesn’t really sound as though either will be hitting their initially projected launch windows. THQ Nordic has stated that they’re skipping E3 this year as a whole. But per the Facebook quote above, we’ll still see more from 4A Games’ Metro Exodus in some form at the expo next month. One would assume during Microsoft’s Xbox One briefing. Hopefully the team can demo something substantial that will prove that the extra wait will be well worth it.